Today, we present an advanced version of Ajax — Hub Plus. This hub is characterized by an unprecedented high level of communication reliability, which is attributed to 4 standard channels: Wi-Fi, Ethernet, and two 2G/3G SIM-cards. It helps to ensure the safety of large facilities by supporting more sensors, surveillance cameras, and groups. 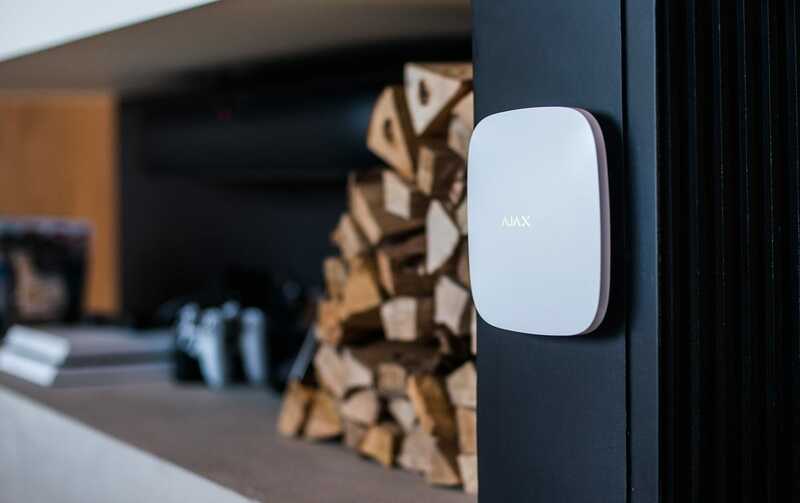 The intention to release the Ajax control panel that would support Wi-Fi was first announced during the demonstration of a working Hub prototype in September 2015, six months before the device was released into the market. Back in the day, we thought that it would be enough to add a compatible Wi-Fi module and slightly fine-tune the software in order to implement an additional communication channel. However, it turned out that Wi-Fi was known as an extremely cranky radio technology for a reason. We tested the most popular communications modules, including those used by other market players, before finding the right solution from Texas Instruments. We developed a software that addressed all the Wi-Fi «teething problems», such as data transmission interruptions and network equipment compatibility issues. As a result, the Ajax control panel received a wireless communication channel comparable to Ethernet with respect to reliability. Meanwhile, Hub sales were growing rapidly. The number of facilities protected by Ajax was increasing, and we were receiving feedback from the security market professionals and product users. It was a period of active listening. We were eager to complete even more tasks and to sell even more devices to even more countries. By the time the reliable Wi-Fi was ready, we needed more than just a new control panel version with an additional communication channel, we needed a powerful breakthrough. For the next year, we dove into the development of a new central unit, having set quite a few ambitious goals: to create a standard of stable communication, to complete large facilities, and to prepare the ground for complex automatisation. Today, we are introducing Hub Plus, an advanced version of the smart Ajax control panel. Among other security system control panels, Hub Plus is unique in its number of standard communication channels, as it supports Wi-Fi and Ethernet and has two 2G/3G SIM card slots. Thanks to the Wi-Fi module, Hub Plus can be easily placed wherever the connection to security devices is best, irrespective of where the router is installed. The Internet connection can be backed up by connecting Hub Plus to the networks of two independent providers: the main one via Ethernet, and the backup one via Wi-Fi. 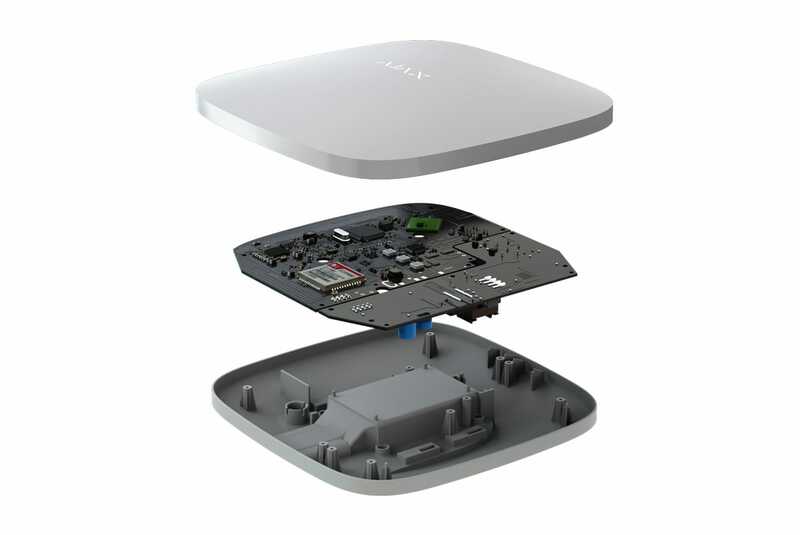 Hub Plus allows the user to insert two 2G/3G SIM cards, while Hub supports only one 2G card. As a result, the reliability of the Internet connection via mobile networks has increased 4-fold. When Wi-Fi or Ethernet connection is lost, Hub Plus connects to the Internet via a 3G network. If the data does not pass through, Hub Plus switches to 2G in a matter of seconds. If that does not help, it uses the second SIM-card following the same logic: using the 3G network as a main one and 2G as a backup one. Moreover, it takes up to 4 minutes to reconnect the Hub Plus SIM cards, while the standard for security systems is 17 minutes. This is a perfect solution to protect properties in remote locations, such as country houses and summer homes. 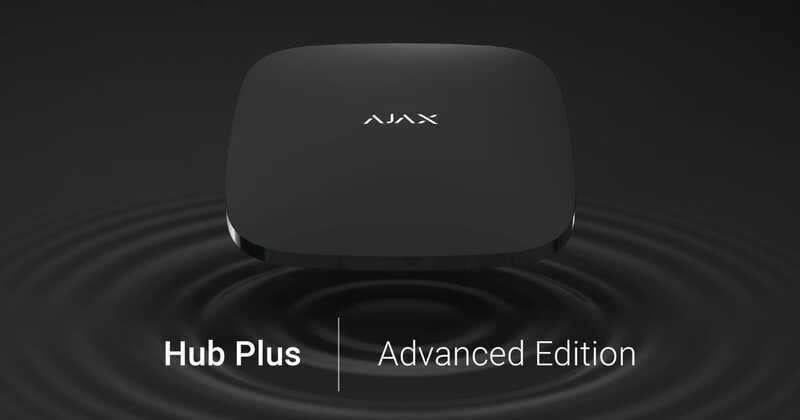 Hub Plus inherited the original Hub design in the classic black and white Ajax colors. It received a built-in power supply which allows the device to be powered directly from the electric network of the facility without using a socket. 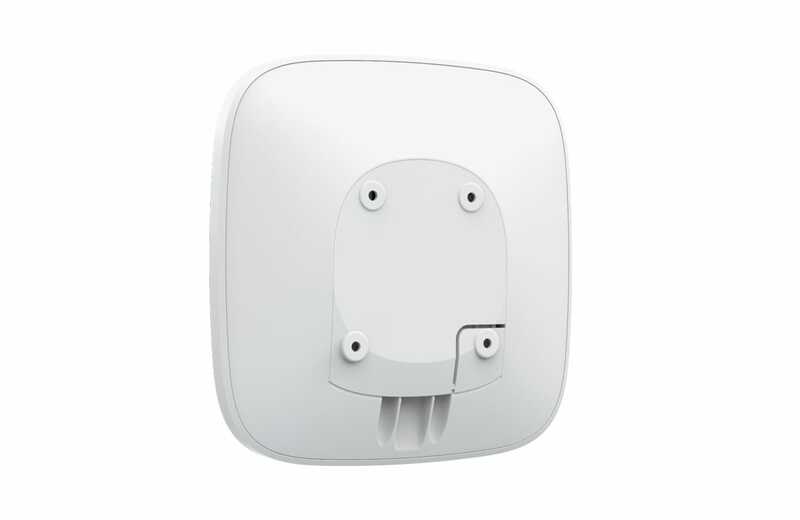 Fastening SmartBracket panel with a tamper provides protection against theft and allows the user to install the hub in just a few minutes. Hub Plus can provide comprehensive security for a large facility (a country house, a shop, an office, production facilities) operating 150 sensors, 50 cameras, and 25 security groups at once. The current hardware capabilities of the hub are used by less than 50% and future software updates Hub OS Malevich will uncover the potential of the device to the fullest extent. Refer to the user manual to discover more information about the device. 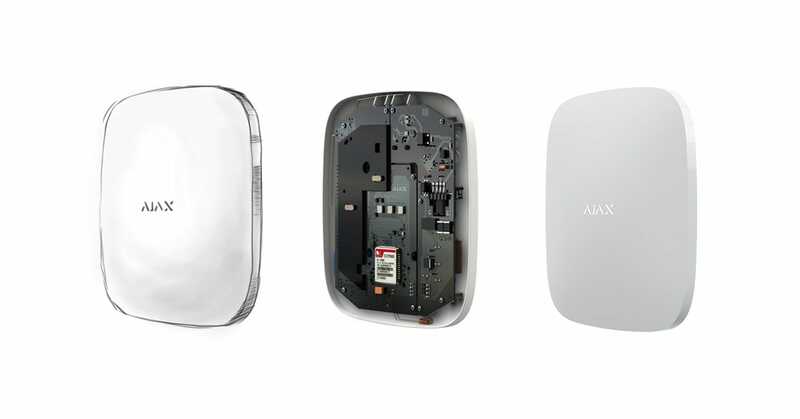 From November 2018, the Ajax product line will have two hubs: a standard Hub and an advanced Hub Plus — a champion in communication channels among security central units. 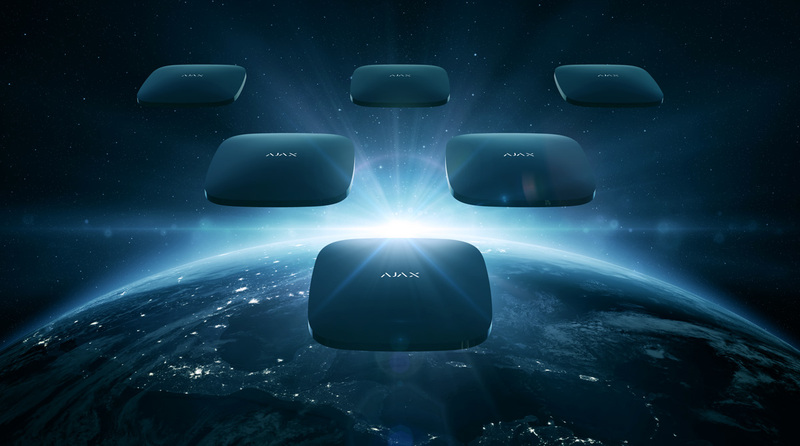 The Ajax Hub Plus can be ordered today from Ajax Systems partners.